- the Rugby World Cup, which just happens to be hosted in New Zealand this year. 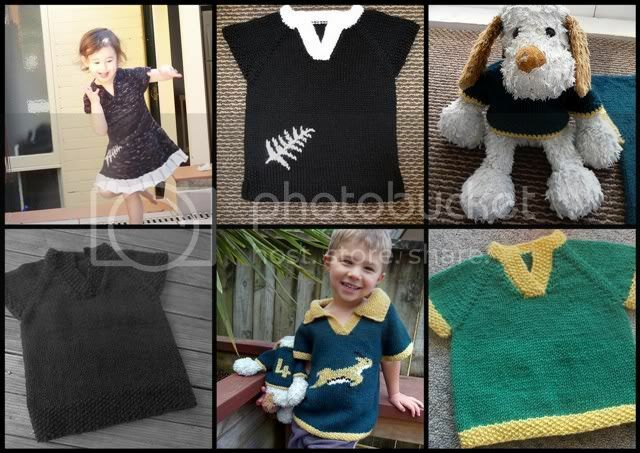 Knit a kids rugby jersey using one of my patterns in the colours of your favourite team(s). I think the Hotshot with or without a collar is ideal and also very practical for this time of the year for both Hemispheres - Spring here in the Southern Hemisphere, Autumn/Fall for the Northern Hemisphere. 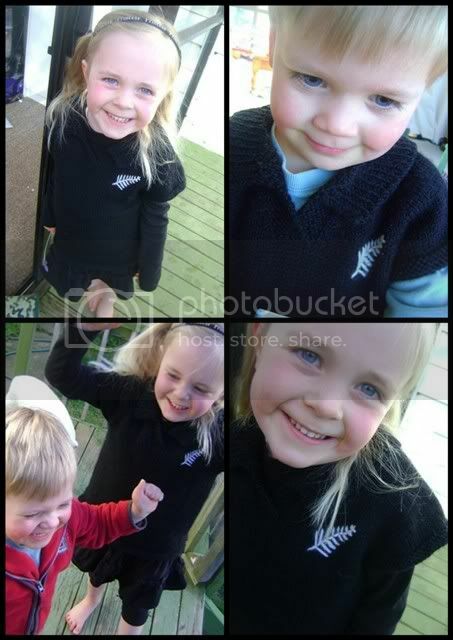 I knitted one for my Penny to wear for her kindy black-out days. Here she is modelling it, along with my Timothy. I was hoping to be able to whip one up for each of the boys too, but they're both still waiting! You can start anytime now, the closing date is the same date as the final for the RWC which is the 23rd of October…but you’ll want to finish your FO before then I’m sure, so your kidlets can wear them while watching the games! Here are the entries so far!